Hitman: Absolution is an action-adventure stealth DirecX 11 video game developed by IO Interactive and published by Square Enix. It is the fifth entry in the Hitman game series, and runs on IO Interactive’s proprietary Glacier 2 game engine. This game title uses the Glacier 2 game engine and was released on November 20th, 2012. 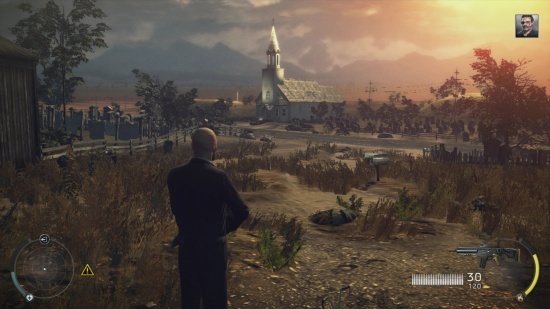 We benchmarked Hitman: Absolution with Ultra Settings. 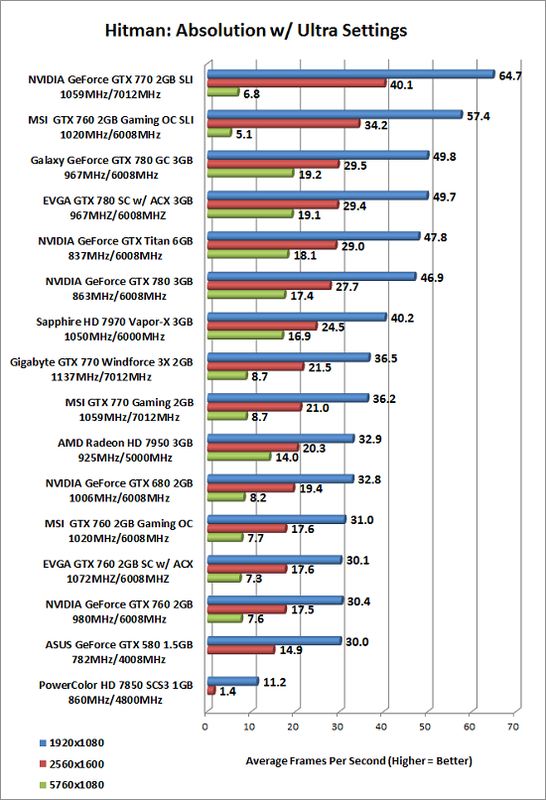 Benchmark Results: The EVGA GeForce GTX 760 2GB Superclocked with ACX Cooling was on par with the other GeForce GTX 760 cards in Hitman: Absolution. These game settings easily fill up the 2GB frame buffer at 5760×1080 and 2560×1600.